Calgary Pride is facing questions about its decision to allow Conservative MP Joan Crockatt in its upcoming parade. 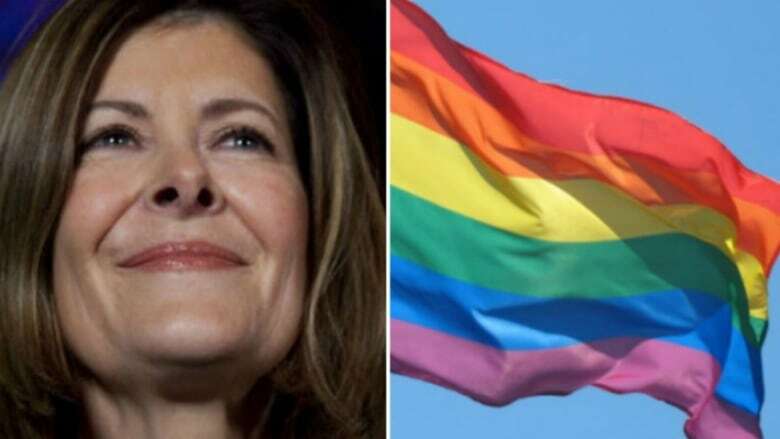 Crockatt has voted against Bill C-279, a controversial piece of legislation aimed at bolstering transgender rights, by adding gender identity provisions to both the Criminal Code and the Canadian Human Rights Act. Angela Reid with the Trans Equality Society of Alberta says politicians should earn the right to participate in the Calgary Pride Parade, and she says there's no evidence Crockatt has done that. "I've seen that she's voted against the trans rights bill at basically every stage and that's going back right from the beginning of it. So, I'm not sure how that squares with Calgary Pride's statement on support of the LGBTQ community," Reid said. Calgary Pride officials say they did not look at Crockatt's voting record on the bill before they approved her participation in the parade. "After reviewing and discussing the matter more fully, Calgary Pride has determined that Joan Crockatt has upheld the values of the organization as outlined in the application process, and recognizes the support she has offered the community throughout her political career. At this time, her attendance in the parade will continue to be permitted," the organization said in a statement. Crockatt's son Scott Crockatt is a volunteer board member with Calgary Pride. The federal private member's bill sponsored by NDP MP Randall Garrison passed in the House of Commons and got through first and second readings in the Senate. But an amendment proposed by Tory Senator Don Plett would have exempted places such as prisons, crisis centres, and public washrooms, and change rooms from the bill's provisions — essentially gutting the bill according to many transgender rights activists. The bill ultimately died when Parliament was dissolved for the fall election. Crockatt was not available for comment Monday.